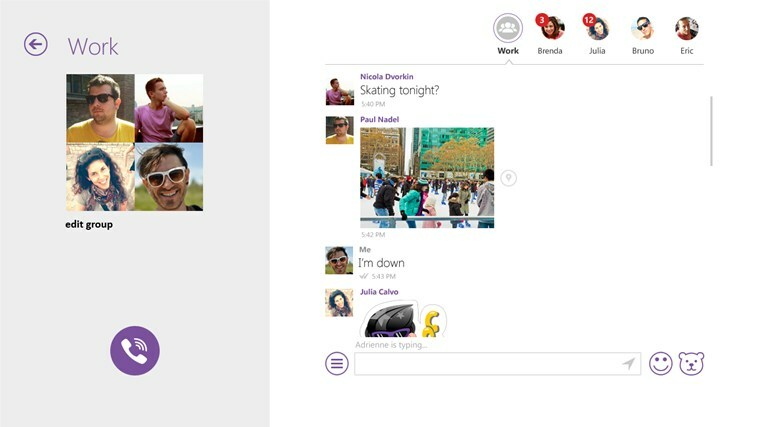 As everyone knows, Skype is now a Microsoft company which must make it even more galling for the Redmond firm when competitive VoIP applications launch impressive apps for its Windows platform, and that’s exactly what Viber has now done. Previously a mobile-only platform until a few months ago, Viber is becoming a real Skype competitor and with apps across all the major platforms it is offering customers some real choice when it comes to Internet calling. It recently added international calling too, in the form of Viber Out, in a move that surely got the attention of those at Skype even if they weren’t already paying attention. 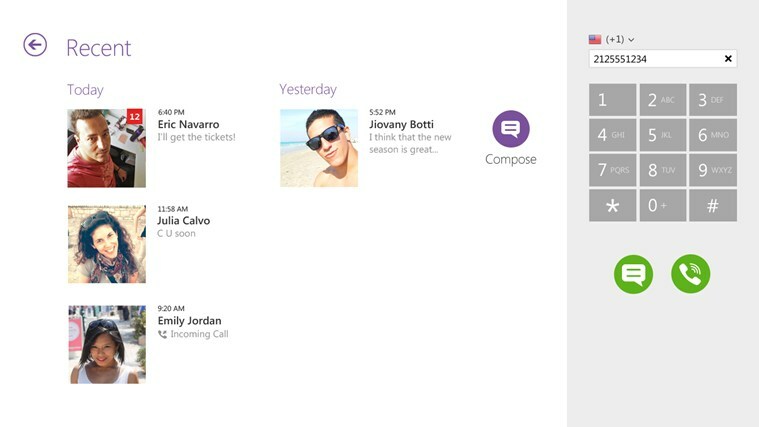 Now though, Viber has launched a new Windows 8 app that takes advantage of some of the operating system’s unique features such as Live Tiles and notifications on the machine’s Start screen and lock screen, which means you need never miss another call while you’re away from your computer. 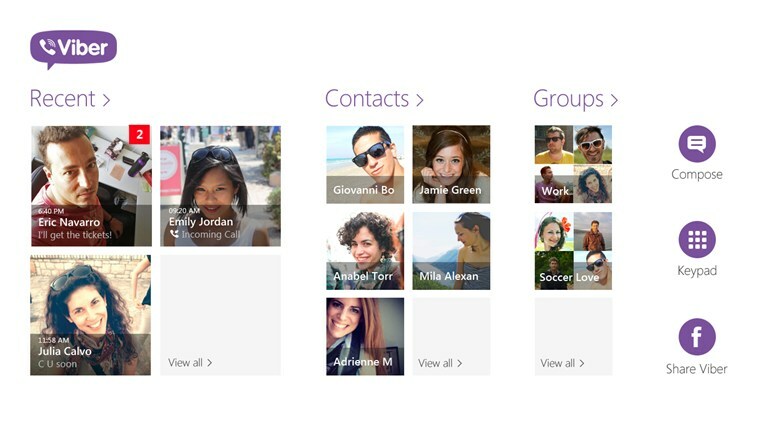 Other Windows 8 features are heavily used too, with Viber able to be pinned to the Start menu as well as be ‘snapped’ to either side of the screen for those that make use of that feature. We’ve yet to find someone who does, but we’re sure there’s someone out there that does! As you might expect, Viber syncs everything across all of your apps and devices, which means that you can be truly connected no matter where you are, or what device you have Viber installed on. It’s this always-connected feature that will be a big driver for customers as Internet based phone calls and instant messaging continue to change the way we communicate. With Skype, Viber and other companies making it easy to use Internet calling with our mobile devices and 3G and 4G connectivity growing, traditional cellular providers may well need to adjust their business model moving forward. We’ve not been big users of Viber in the past, and with Apple’s iMessage and FaceTime Audio growing in use and Google’s Hangouts getting similar features, it’ll be interesting to see how the landscape pans out during 2014. So as long as everything stays either free or nice and cheap, we’re going to be happy!